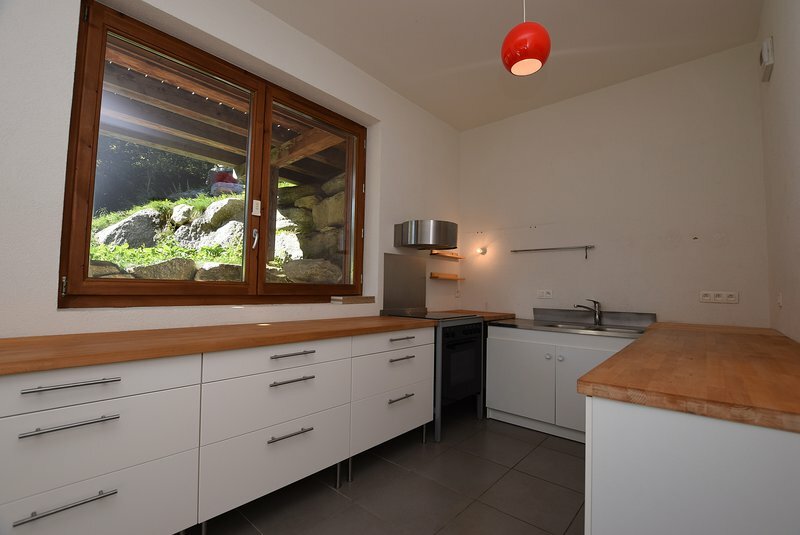 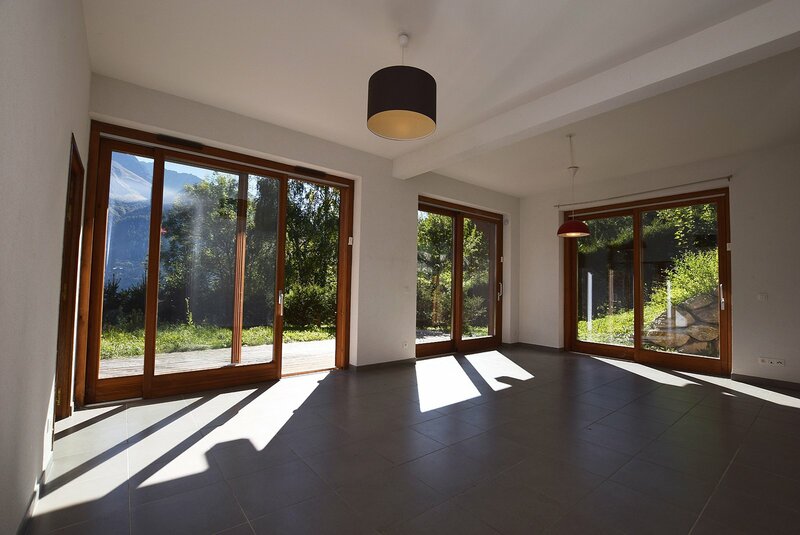 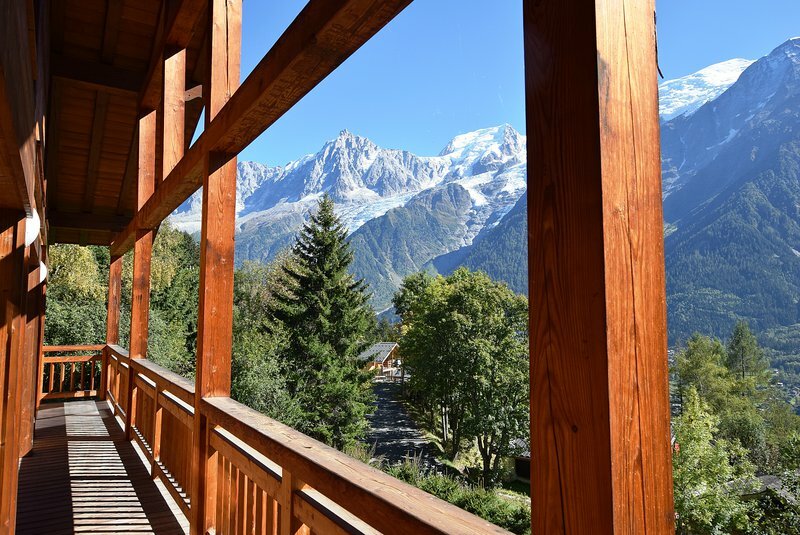 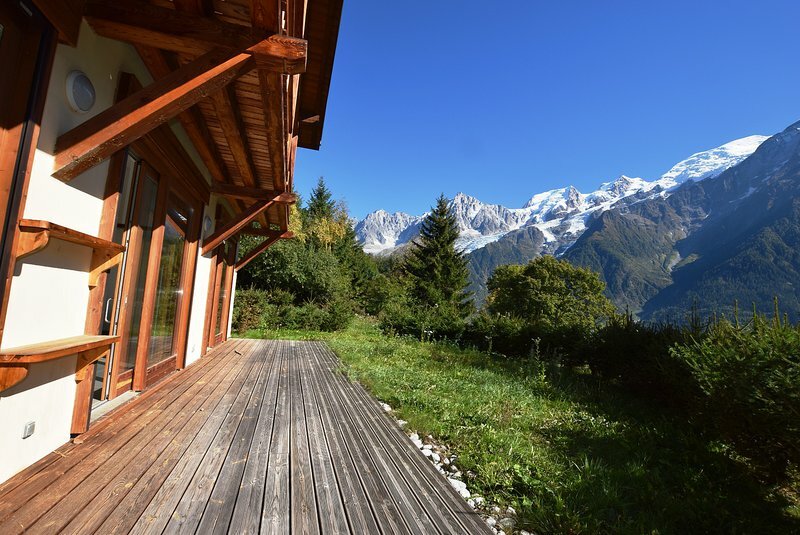 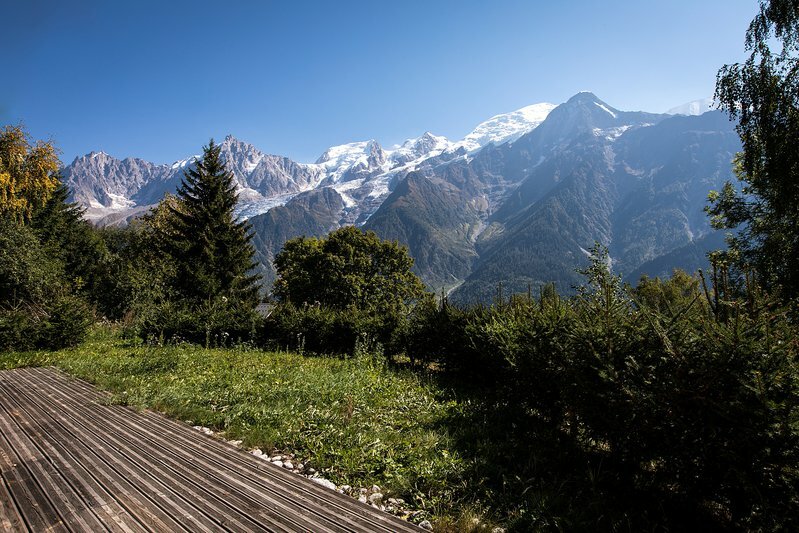 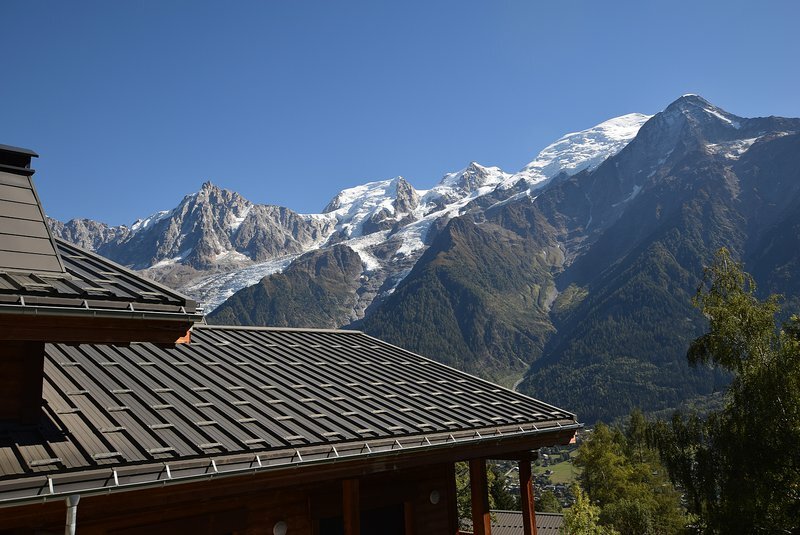 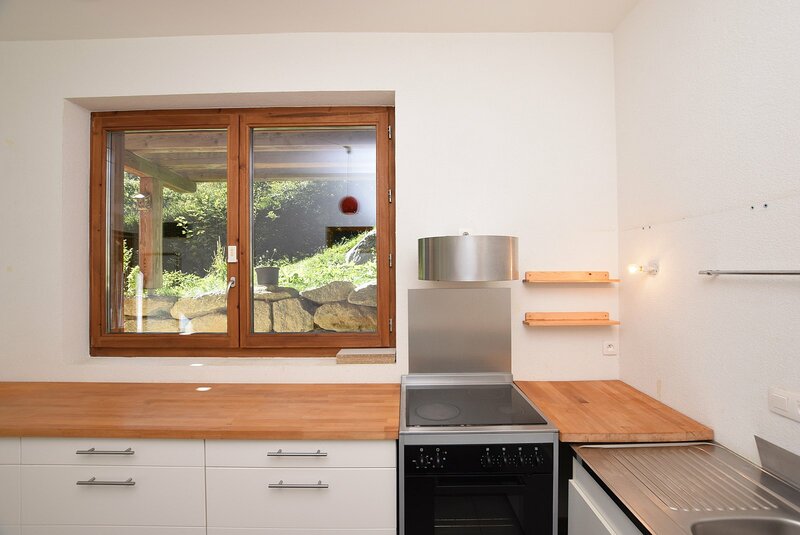 Impressive chalet built in 2012 located on the sunny slopes of Coupeau on the southern side of the valley with exceptional views of the Mont-Blanc range. 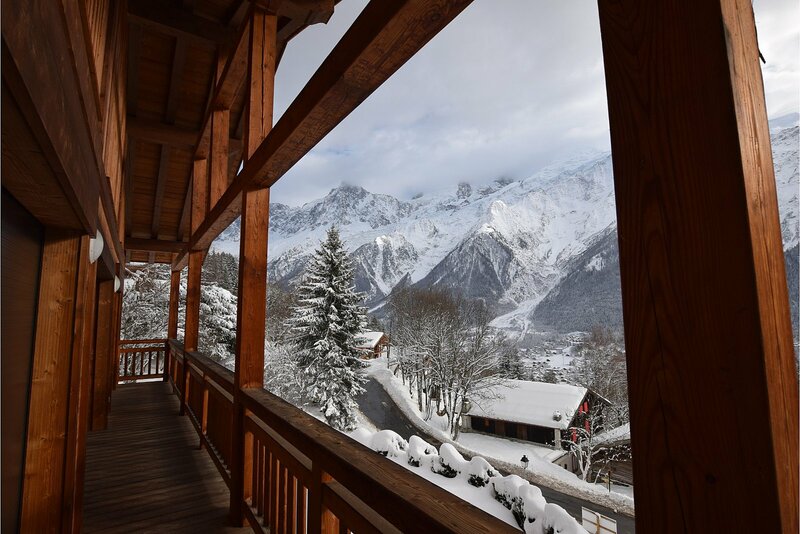 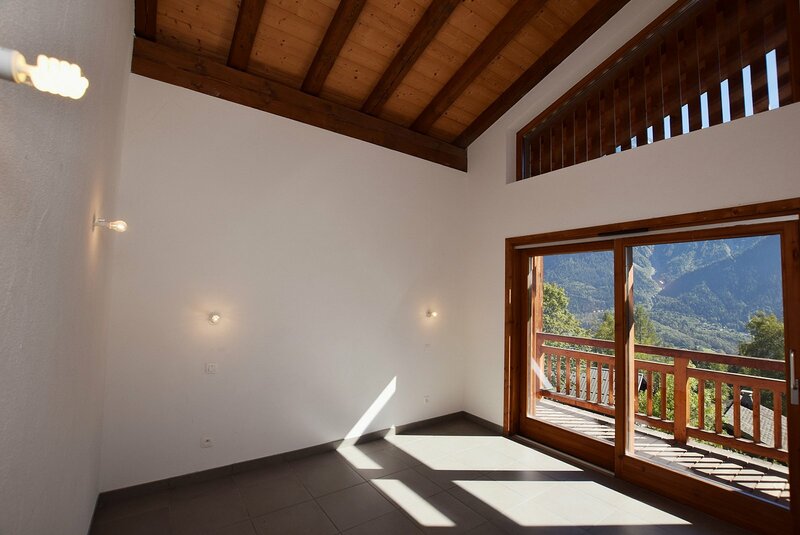 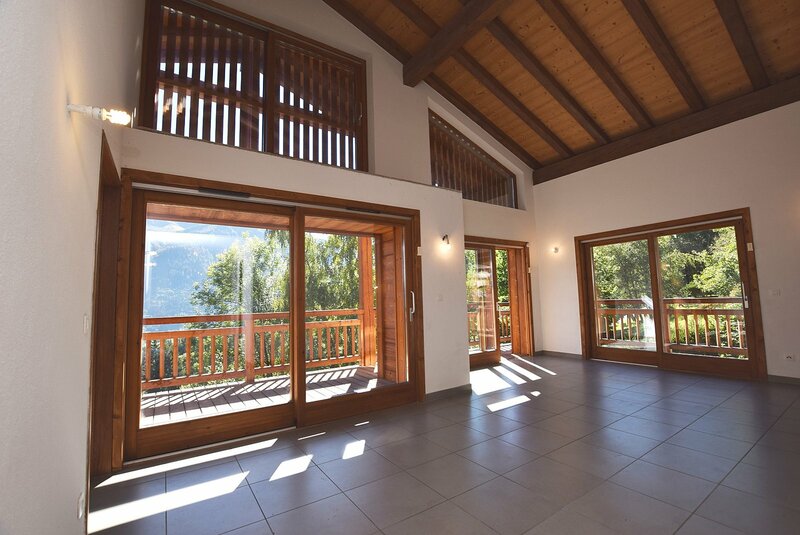 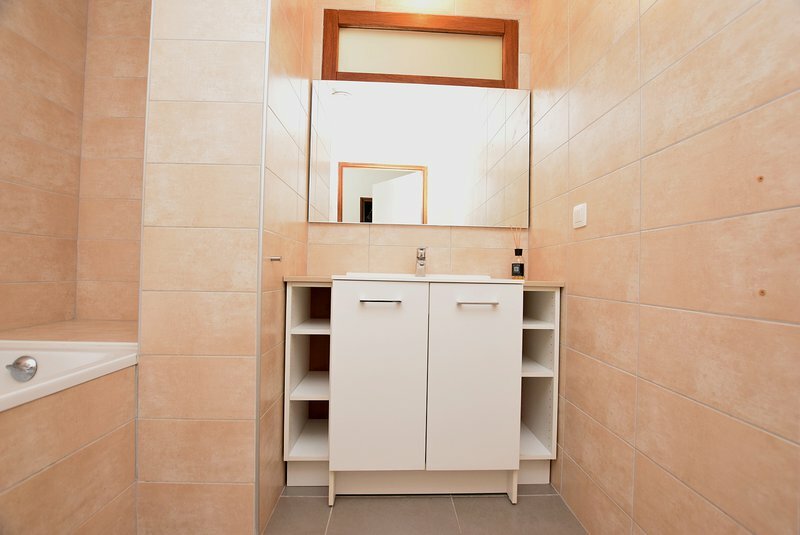 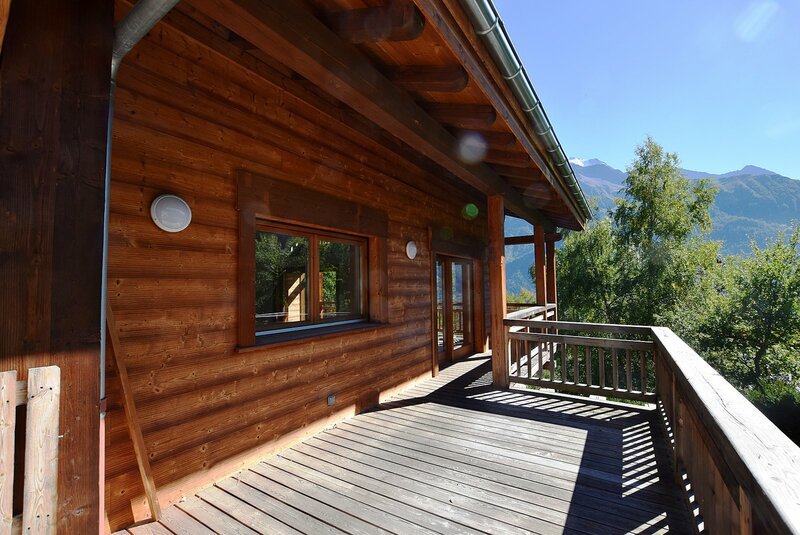 The chalet is currently divided into two spacious 2 bedroom 90m² apartments. 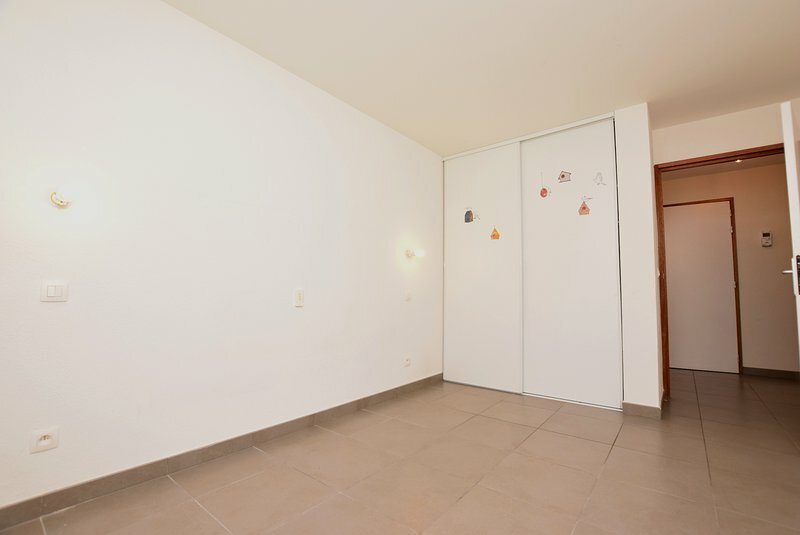 One apartment is on the ground floor with a beautiful terrace and the other upstairs with a large balcony. 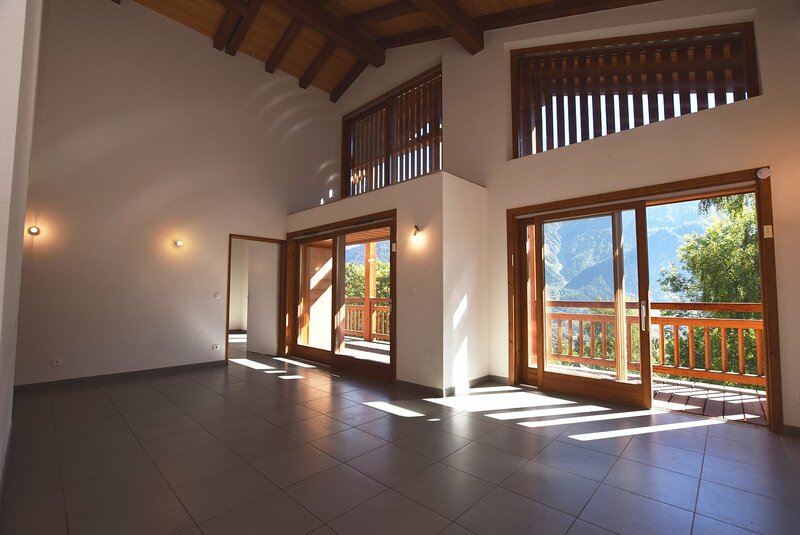 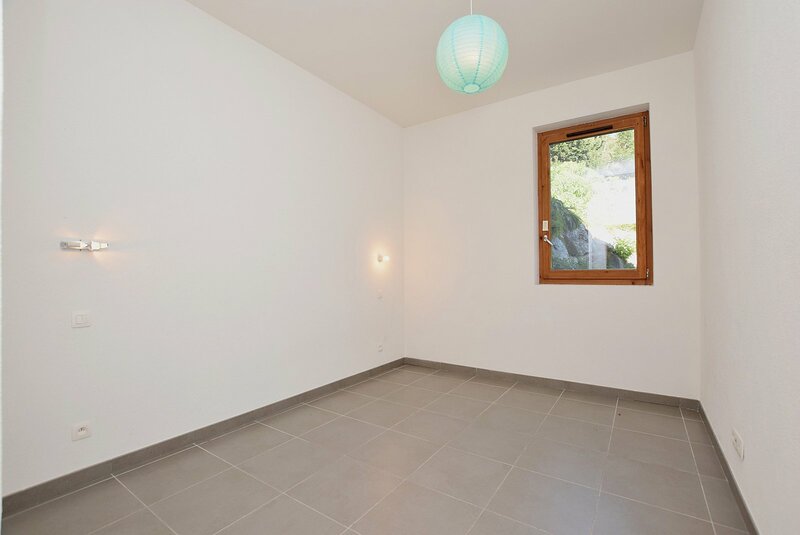 Both apartments have large windows that make them very bright and have unobstructed mountain views. 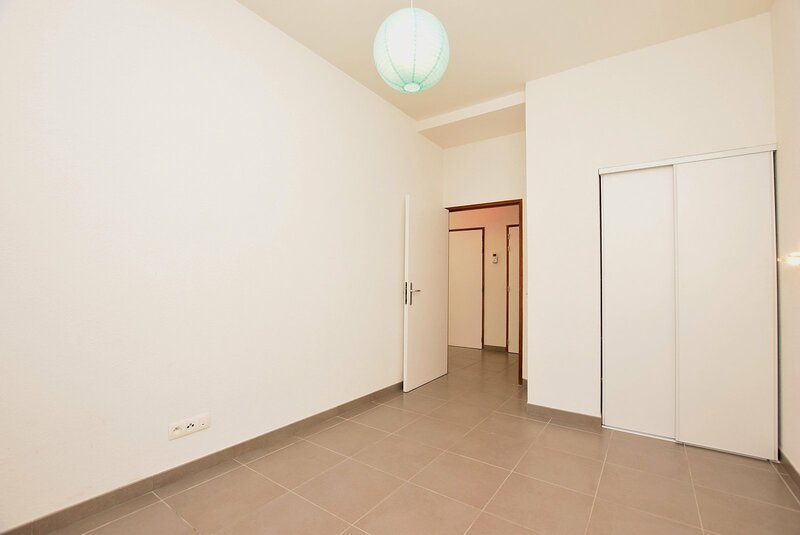 Each apartment has a private garage, an outdoor parking space and a large cellar. 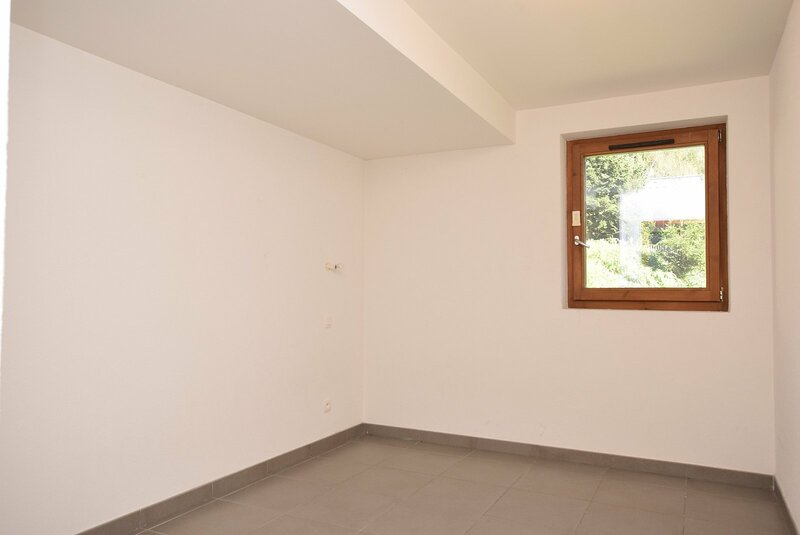 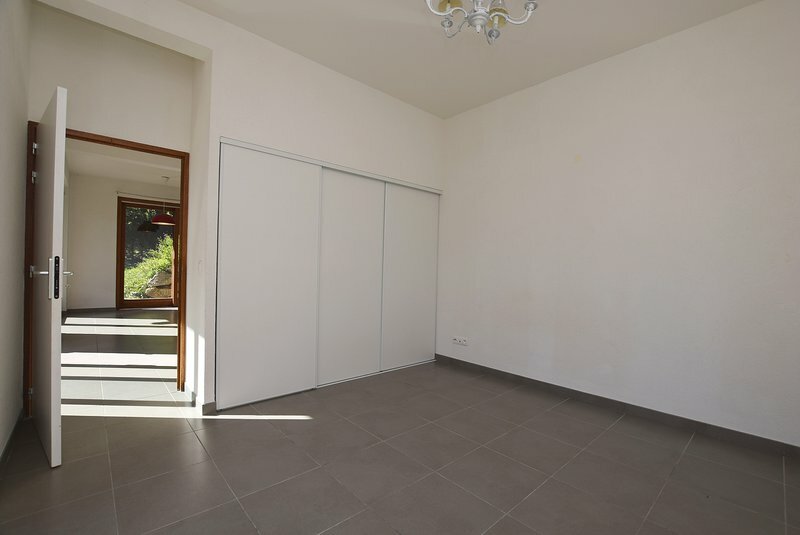 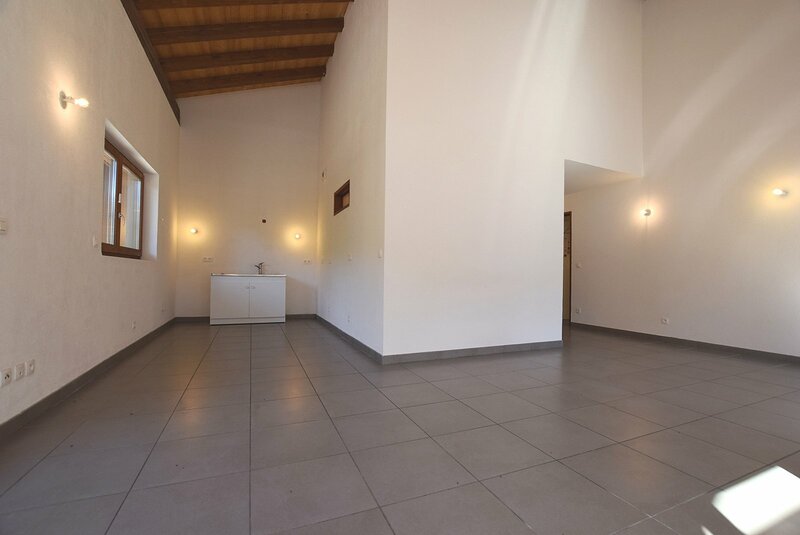 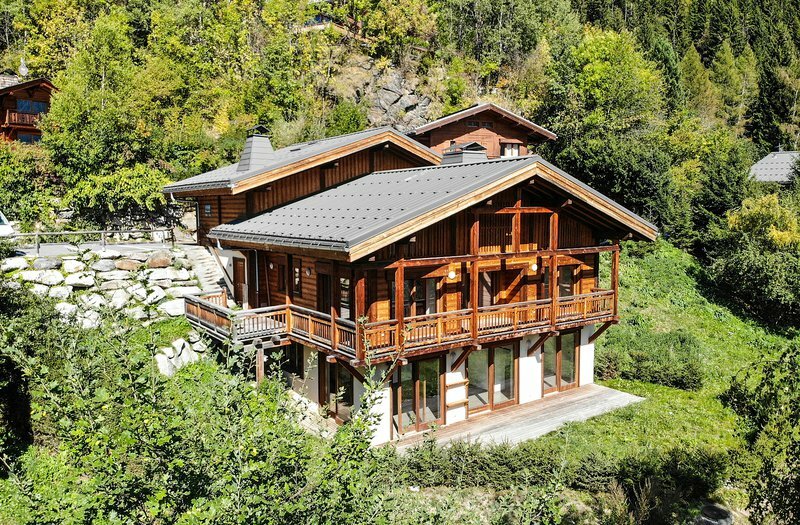 This chalet would make an impressive family home as it can be easily re-worked into an entire chalet. 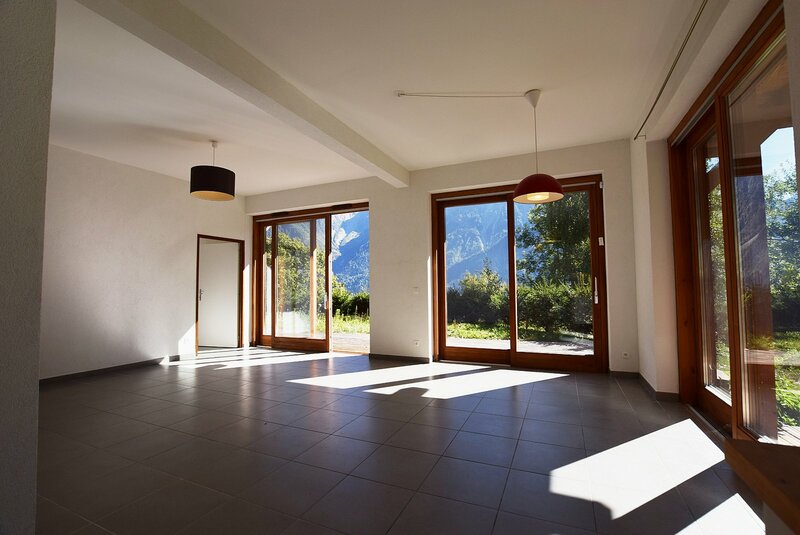 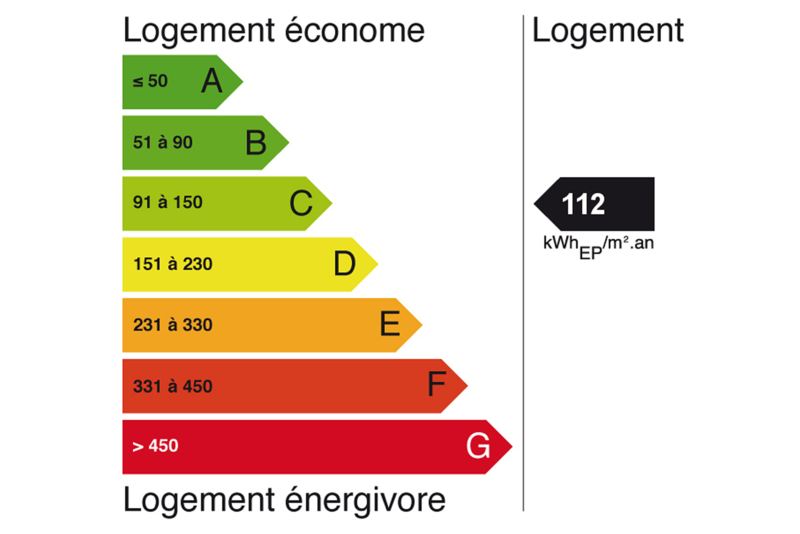 Equally it has some rental options where a buyer rents out one apartment and uses the other. 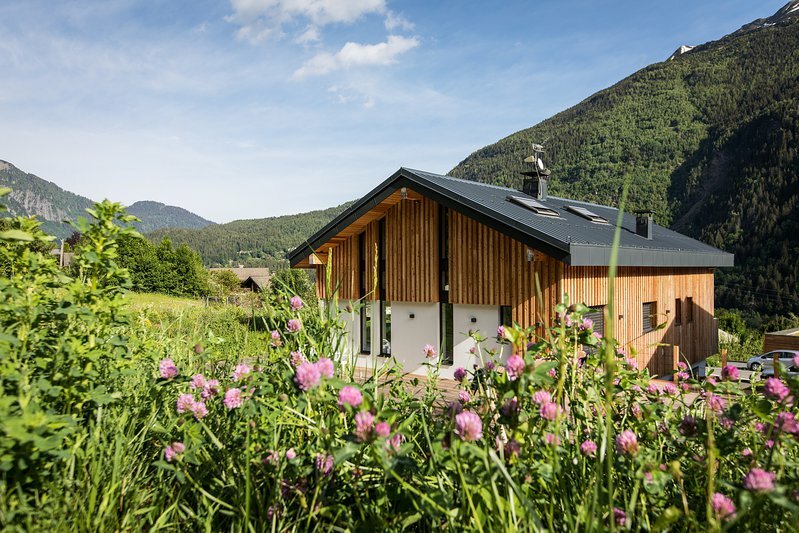 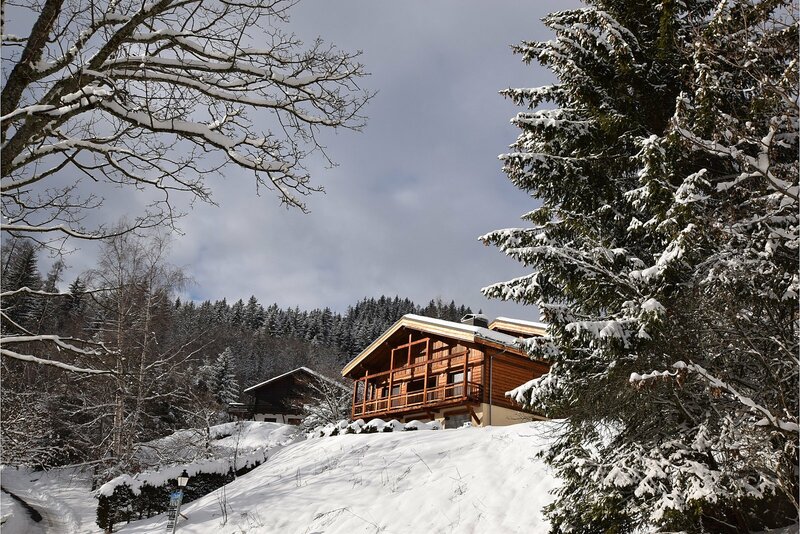 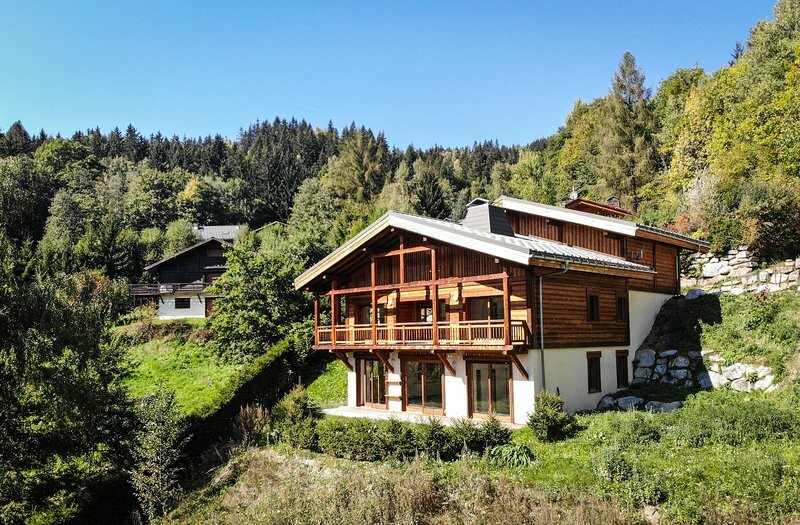 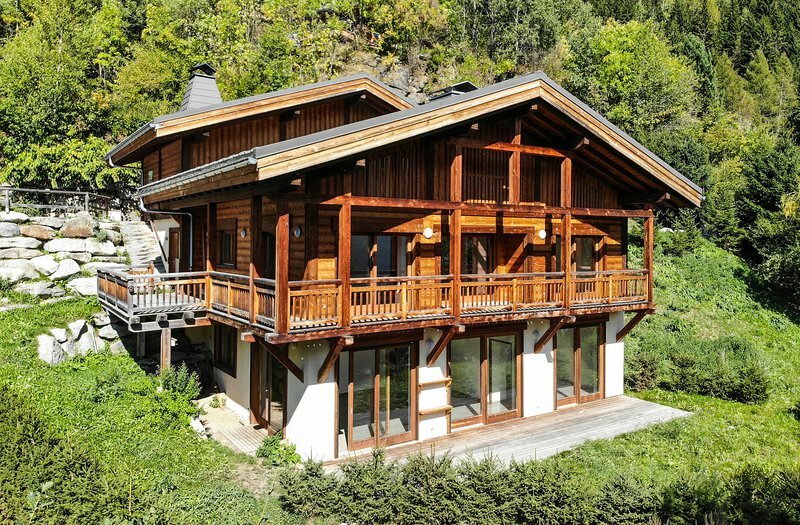 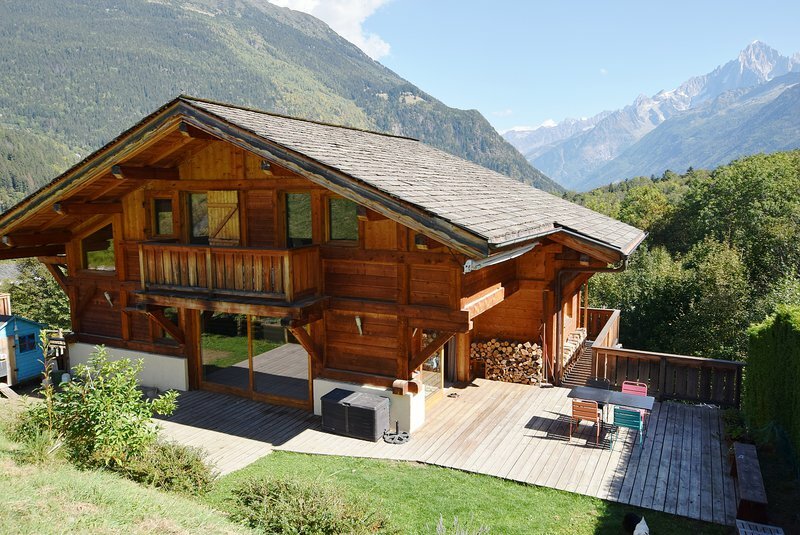 This chalet offers spacious living in a private and quiet setting. 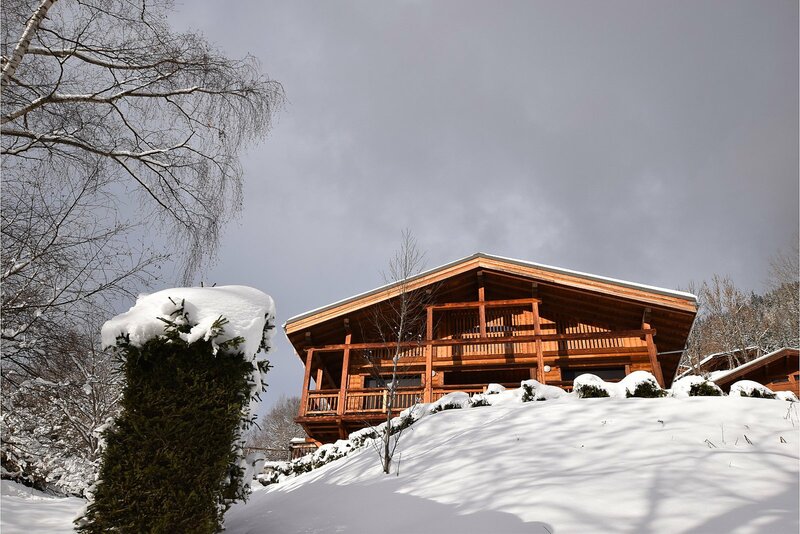 This chalet is in an exceptionally beautiful location - away from the hustle and bustle of the town but within minutes drive to the slopes. 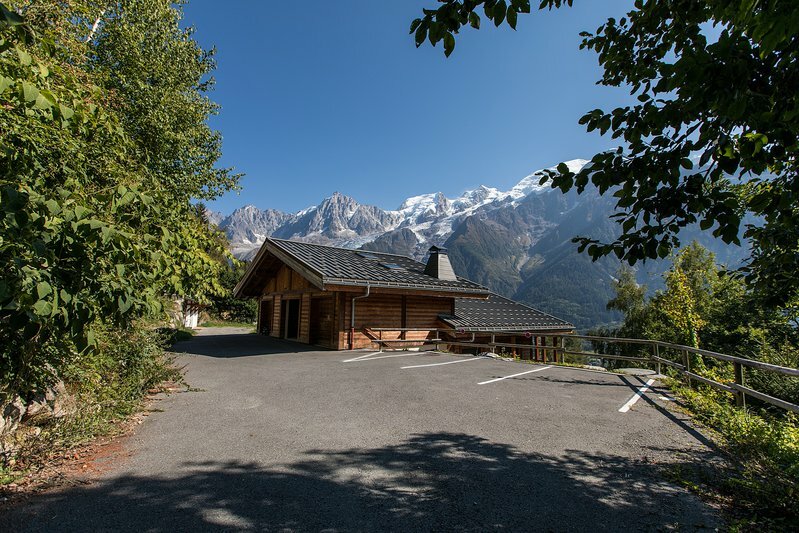 In the summer, Coupeau offers some lovely hiking and biking routes and hours of sunshine. 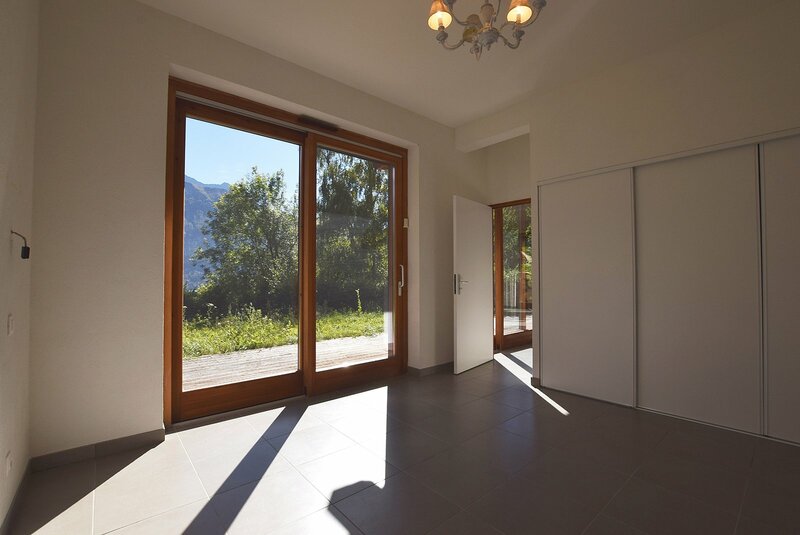 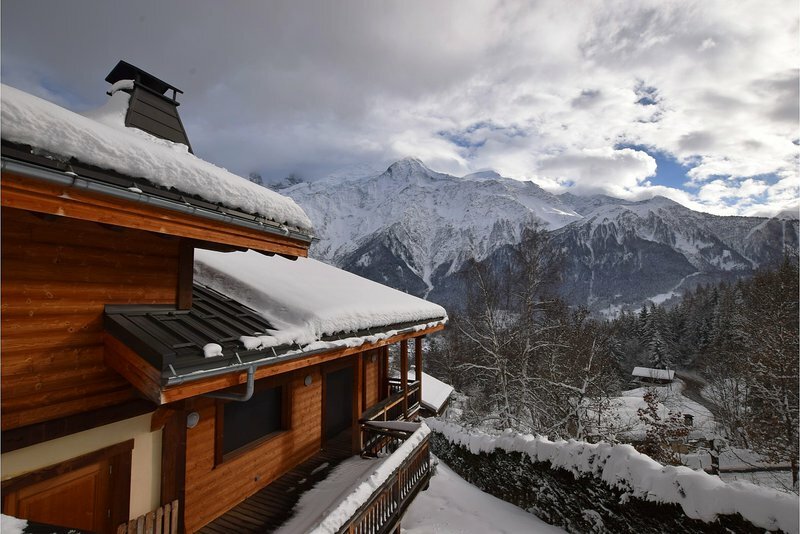 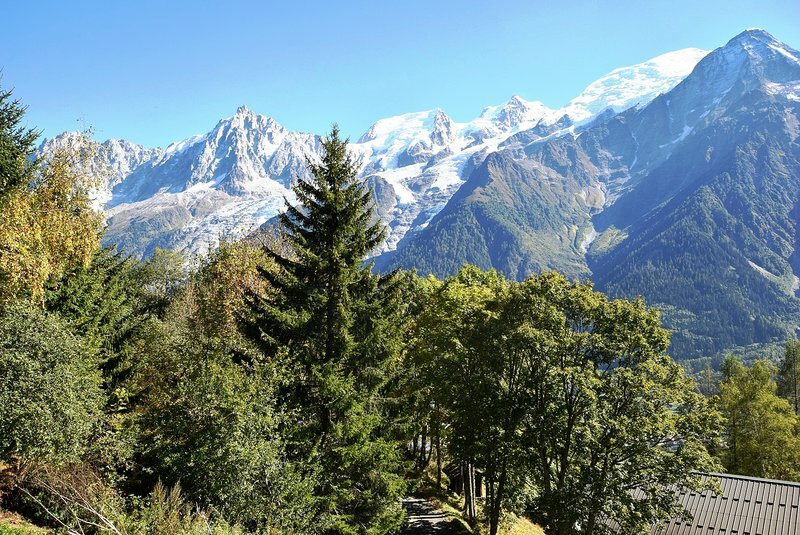 The closest train station is Les Houches, just under 3kms away and the nearest ski slopes, restaurants, supermarket and other amenities can be found in Les Houches, a 10 minute drive away.